Racine Roofing and Remodeling provides siding services in Racine, Kenosha, Sturtevant, Caledonia, Milwaukee, and Franksville, as well as all over Wisconsin. 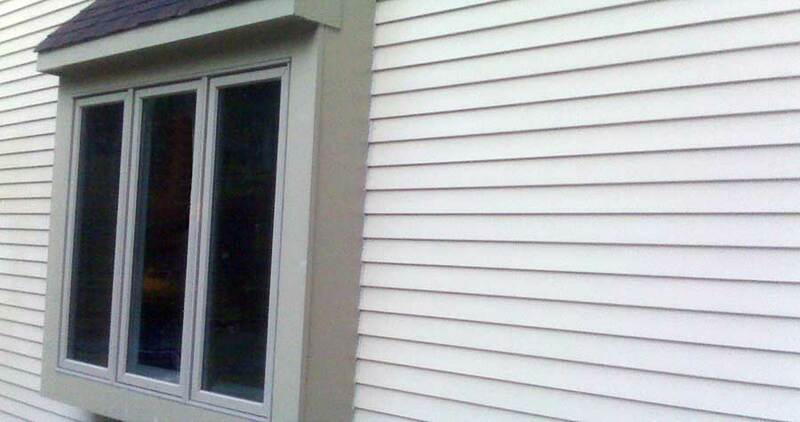 Siding gives the initial visual impression of your home. At Racine Roofing & Remodeling, we install all siding options with proper technique to ensure a long-lasting, low-maintenance result that creates aesthetic pleasure for your whole block. We will meet you at your need, whether you will remain for years to come, or if you are planning to sell your home. The performance of siding materials breaks down into efficiency, durability, damage, cost, maintenance, and versatility. Similar efficiency to metal. As long as not punished frequently, it can last for decades, because it won’t scratch or dent, and it does not need painted, but it does crack, which is quick and easy to repair. Vinyl has lower costs than other options, in part due to the many options for plank size, color, and textures. Similar efficiency to vinyl. Excellent insulator. Outperforms vinyl in extreme cold. Extremely durable, especially if it gets an occasional coat of paint, but susceptible to dents. Not inefficient or non-protective, but manufactured siding products have an edge over natural ones. Needs steady treatment for durability to stave of water damage, dry rot, and insects, and eventually it will split and bow. Wood can be detailed in many different fashions, comes in shingles or planks, logs or tongue-and-groove, and can be stained nearly any color. Most efficient siding option. Thick enough that it repels heat from getting in and cold air from getting out in the summer and just the opposite during winter. It is very durable, lasting 20-25 years, especially if holes are patched immediately, which can come from woodpeckers, sports balls, etc. More expensive than other options. Also consider aluminum, polymer, fiber cement, insulated, and vertical siding. At Racine Roofing & Remodeling, we will show you how all the products work together to maintain wall, window, and door protection for long lasting quality of your siding, and in turn, your home.